Hello. My name is Liz. Until the end of 2015 I was the Illustrator and Designer for Pink Petticoat, a Boutique design range of digital papers, images & sentiments I created for card makers. When I closed the Boutique, I took a complete break from all things papery. But I'm now ready to pick up my passion for paper once again. Just for me. And just for pleasure. The Lovely Studio is a place for me to share my adventures in paper-crafting now. A place to share the cards I make. A place to share share my creative finds and the things that inspire me. And a place to share any papers I may still design. Which I still love to do. 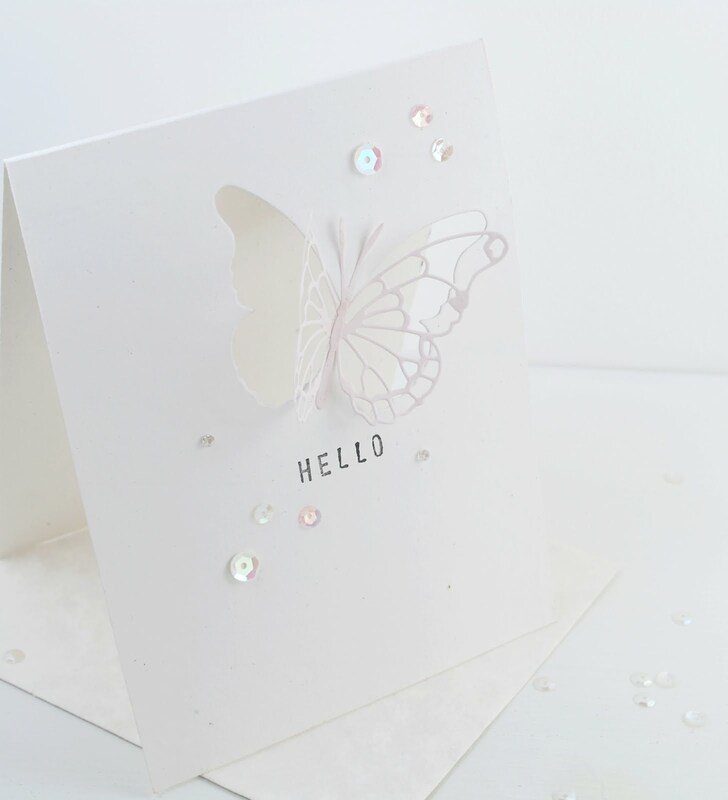 Card Blank: Hand cut from Rustic White Cardstock. By PTI. Butterfly Dies: 'Darla' & 'Vivienne' Butterfly Dies. By Memory Box. Alphabet Stamps: Wood-Mounted Mini Alphabet Stamps. By Hampton Arts at Dovecraft. Selection of small sequins, crystals & beads. 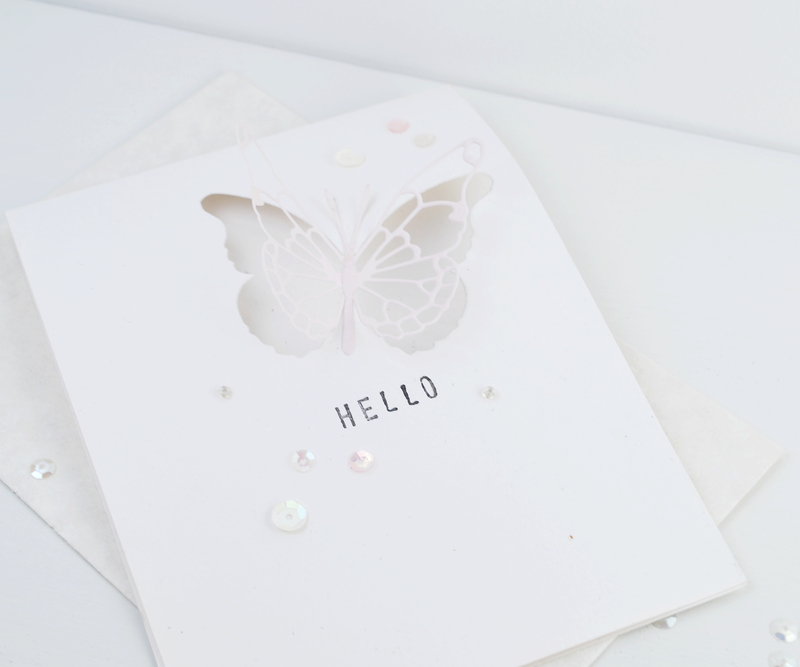 And a scrap of pale pink card.